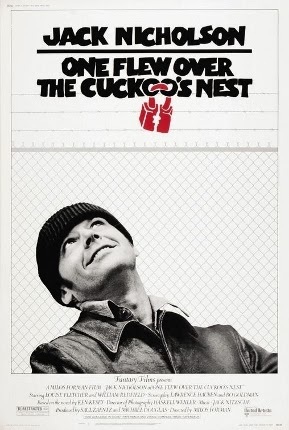 Jack Nicholson won an Academy Award for his portrayal of R. P. McMurphy, a volatile and charismatic man who is admitted to a psychiatric ward for assessment. Originally thinking it was a soft option in comparison to prison, McMurphy soon realises that even more is at stake here, and “freedom” was not as simple a concept as he had previously thought. Head of the ward is Nurse Ratched, another award-winning performance this time given by Louise Fletcher. She is cold and cruel, heartless even, although it’s not instantly noticeable behind her calm exterior. McMurphy does battle with her on behalf of the inmates, whom he tries to inject with a little life and autonomy. For me it’s hard to think of the film separately from Ken Kesey’s novel. Milos Forman, director, has captured much of the book’s heart, but that’s not necessarily a good thing. The central premise is cynicism regarding the typical psychiatric treatment at the time of the novel, and Forman does portray the same callousness and almost purposeful lack of understanding in this hospital. McMurphy shouts at the men that they’re not mad at all, as the book argues that society seeks to “fix” anyone who does not fit into “normal” personality categories. We get all of this in the film, and it is for this reason that both book and film are remembered, as it is undoubtedly an interesting angle. But more than anything, this is an incredibly sexist work. There are only two types of women: whores, who are to be shared good-naturedly, and oppressive emasculating matriarchs, who must be beaten down. All the women of the story fit in either of these camps, even those of whom we only hear brief reference. Yet it ought to be a man’s world, according to the film’s logic, and any woman who doesn’t find her place in this system must be brought into line. I’m not a ranting feminist by anyone’s standards, but it seriously annoys me that this isn’t talked about nearly enough. It’s a shame really, because the central idea is so interesting - that there’s not nearly as much insanity around as we think, just those who need help finding how to interact with society. Although, once you remove the matriarchy idea the notion that insanity is a social fabrication begins to crumble too. Another shame is that not nearly as much attention is given to Chief Bromden (William Redfield) as there is in the book, although his hallucinations and flashbacks would have made the film a meandering mess. Still, the character is put to good effect in the film, as we see him begin to clutch at various aspects of freedom under McMurphy’s tutelage. Indeed, it is the progress we see in all the patients that gives this film its emotional centre, and what makes it so celebrated. 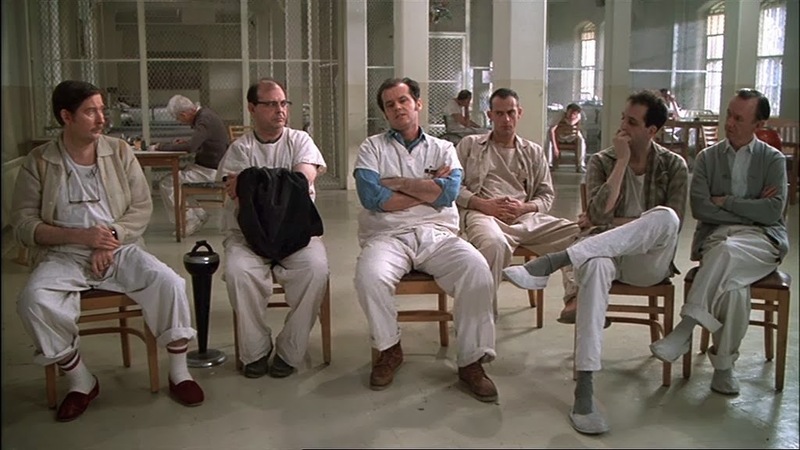 With impeccable performances all round, and Nicholson really earning that Oscar, One Flew Over the Cuckoo’s Nest is a well-executed American classic, although I disagree strongly with many of its views.